LOVE, LOVE, LOVE this card. Where did you get your foil paper? Is the embossing folder SU? You probably have that listed. 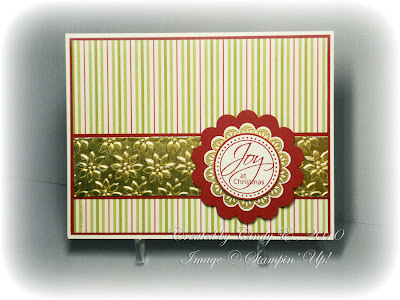 The gold foil makes it so elegant - an easy touch? Ooo, shiny! 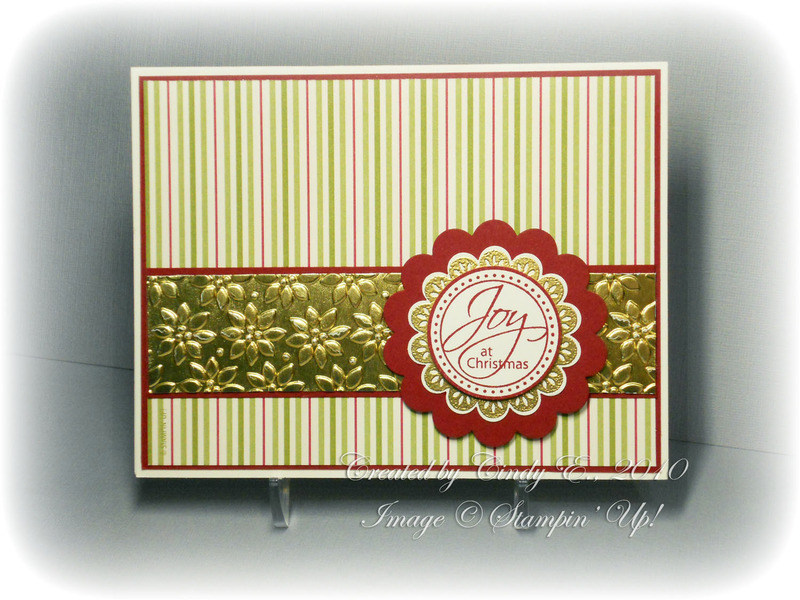 Love the gold foil! Beautiful! Makes CAS not look simple! It's pretty and fun! I cannot imagine how to make it more simple! The gold layer is fabulous! Love it! Love the shiny stuff. Very pretty!